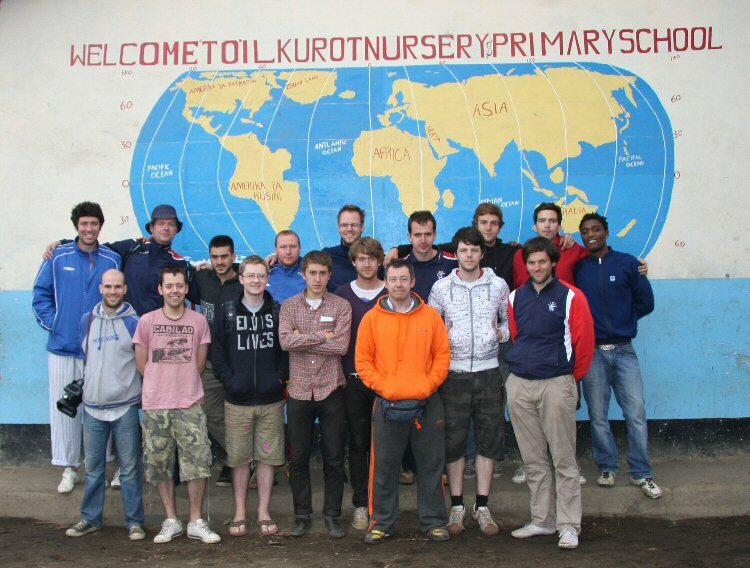 Bengal Lancers are off to Tanzania on the 24th of October . The purpose of the trip is to collect as much football accessories as possible including as many full sets of strips as we can for the street projects in the area . They would also like to gather up as much replica strips as possible so if anybody has any old strips they could donate this would be greatly appreciated also. Training bibs, balls etc are also very welcome . The Lancers will also will be taking training sessions and playing four games during their stay . Any help from Clubs would be great ! County Thistle and Dunbreac are donating strips to cause which means there will be an african branch of two SSMFL Clubs - cheers guys. Colin Campbell has organised a Dinner Dance in aid of Stobhill Hospital and, in particular, Ward 44 in recognition of the care provided to his mother in her later years. The function will take place at The Knights of St Columba in Moodiesburn on Saturday 10th October with a 4 course meal starting at 7.30 followed by a disco from 9pm. Tickets are £15 for the full night or £5 from 9pm. Colin can be contacted on 07905 633541 or 01236 875144. 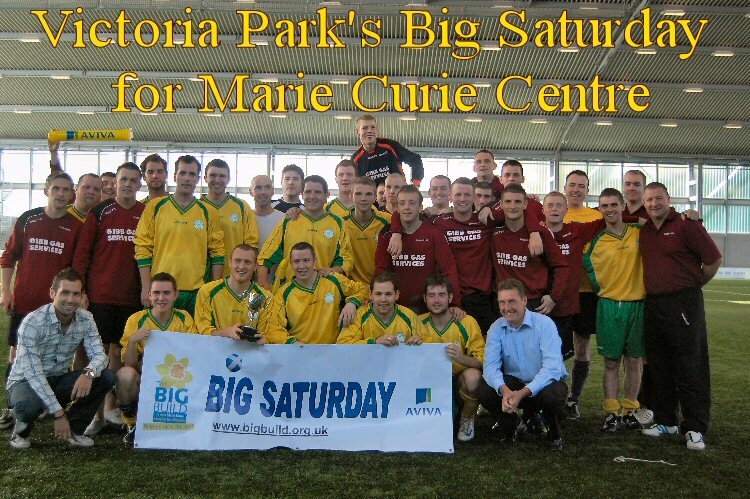 To help launch Big Saturday, Victoria Park AFC invited a Marie Curie XI to take part in ‘The Legends’ tournament @ Toryglen Indoor Arena on Saturday 22nd August. Victoria Park A, B and ‘Legends’ (team of 1993) along with the Marie Curie XI competed for the Jimmy Walker Memorial Trophy in a knock out competition. The first semi final saw Victoria Park B take on reigning champions the Victoria Park Legends. A tight encounter finished 1-1 but Victoria Park B held their nerve in penalties to seal their place in the final. The legends put on a dismal display in the shootout scoring only once. The 2nd semi final matched the Marie Curie XI with Victoria Park A and despite their advanced years, the Marie Curie side more than held their own. However, tired legs eventually told and a few late goals saw Victoria Park A run out eventual 4-0 winners. Victoria Park Legends won the battle of the ‘also rans’ 3-0 with the Marie Curie XI feeling the pace of their 2nd match in succession. The final between Victoria Park A & B was a hard fought affair with neither side able to break the deadlock. Spot kicks were again to decide the winners and Victoria Park B proved to be most accurate winning 5-4. Victoria Park B side. The tournament was a great success raising £500 with Aviva, who also paid for the venue, agreeing to match the total raised as The Big Build is their staff charity for 2009. Victoria Park hope that amateur clubs of all ages will be inspired the get involved and hold their own fundraising event for BIG SATURDAY.